Over all in good condition, with mild soiling, but with several very small holes, a few thin spots, and some edge wear; all four of the original four ties are present. There is noticeable fading which begins under the "T" and goes to the tip. 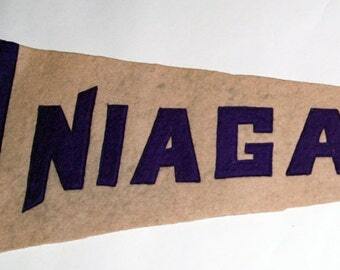 1920s-'30s Era Calgary Alberta Sewn Letters Felt Pennant — Free US Shipping ! 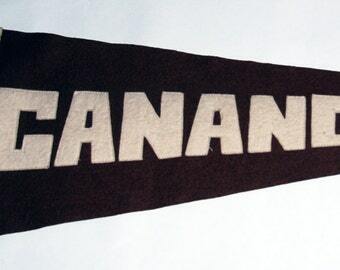 1920s Era Sewn Letters Felt Pennant Emmanuel College Divinity School University of Toronto -- Free US Shipping! 1930s era Masonic Quebec Sewn Letters Felt Pennant — Free US Shipping! 1920s-'30s era Ivy League Dartmouth College Sewn Letters Felt Pennant — Free USA Shipping!